Do your themes work on WordPress.com websites? How to create custom menu? How to add Food Menu? I downloaded a theme from Catch Themes. What do I do next? Site Identity: How to add logo? Site Identity: How to disable Site Title and Tagline? Site Identity: How to add Site Icon (Favicon/Web Clip Icon)? Header Media: How to add Header Image? Header Media: How to add Header Video? How to add Featured Slider in theme? How to change Transition Effect, Transition Delay and Transition Length on Slider? How to change number of slides in featured slider? How to Set Certain Categories to Display in Homepage/Frontpage? How to change Pagination Options? How to enable/disable Scroll up feature? How to edit search option text? How to enable/disable update notifications? How to enable/disable Zoom, Lightbox and Slider effects for WooCommerce Product Gallery? How to change layout for Services? How to translate your theme using WPML? How to add Testimonials using Custom Post Types? How to use Featured Content using Custom Post Type? How to add Portfolio in using Custom Post Type? How to add Service using Custom Post Type? How to add Services in theme? How to add Testimonials in theme? How to add Contact Info? How to add News section? How to add Stats in Theme? How to add Events in theme? How to edit Footer Editor Content? How to add Professional in theme? How to add Reservation in theme? How to add Gallery in theme? How to enable/disable Single Post Navigation? How to add custom social links? What is an FTP client and how is it used? How to post queries in support forum? How to change dimensions of images displayed on posts and pages? How to install theme(For Free Theme)? How do I upgrade my theme to the latest version? WordPress is a free, open source content management system (CMS). It’s a software that allows people to create, organize, and update websites without having to manually code every page. WordPress actually started as a blogging platform, however, it has grown into something much more than that now. It has evolved to be used as full content management system and so much more through the thousands of plugins, widgets and themes. WordPress is currently powering more than 26% of the web. The most important part of WordPress is that it comes in two forms—WordPress.com and WordPress.org. WordPress.com is a blog hosting service that allows users to setup a free website that operates on custom version (limited) of the WordPress software. And then there is WordPress.org, a software with which you can do just about anything without any limitations. In simple words, WordPress.org is basically the home of the open source WordPress software. Most importantly, WordPress is an all-in-one feature-packed website platform, it can do just anything! 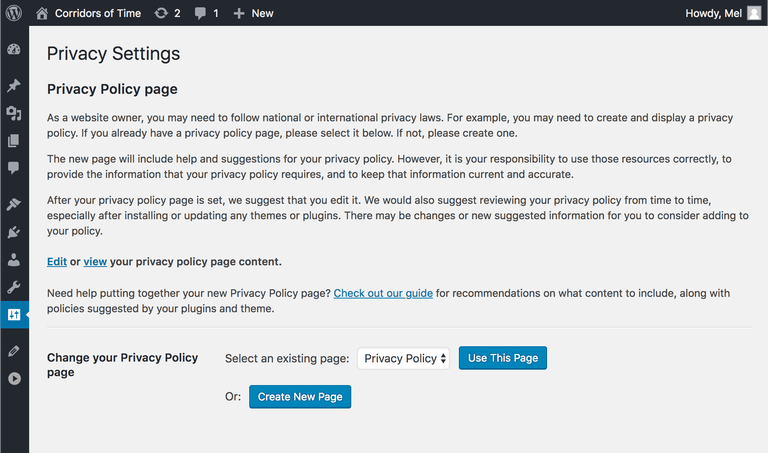 WordPress.com did not allowed to upload your theme, but now by purchasing WordPress.com Business plan for your blog you are allowed to upload your own theme via Appearance feature. Go to this link: https://en.support.wordpress.com/themes/uploading-setting-up-custom-themes/ for more details about Uploading and Setting up Custom Themes. According to WordPress.org, themes are collections of files “that work together to produce a graphical interface with an underlying unifying design for a weblog.” In simple, a WordPress theme is what controls the functionality, the look, and the feel of a WordPress website. WordPress themes come in a variety of flavors, from basic, free themes to more complex, premium themes. The key takeaway about WordPress themes for any beginner is that at any moment a WordPress website’s theme may be changed without adversely affecting the actual content of the website. Custom Header Image is different from site logo. It’s a large global image in the header to obtain a much more personalized look and feel. To add header image, you need to go to “Appearance => Customize => Header Media =>Header Image”. Here, you can add/change/hide Header Image, select option to Enable Featured Header Image on, Size and add in links and alt tag as per your website need. When you are in “Appearance => Customize => Header Media => Header Image”, you will see option “Enable Featured Header Image on”. There are 7 options, which gives you flexibility to add Header Image as per your website need. This option will show header image in Homepage/Frontpage only. This option will show header image throughout the site, excluding Homepage. This option will show header image throughout the site excluding Homepage. But in Page/Post, your header image will be replaced by Featured Image. This option will show header image throughout the site. This option will show header image throughout the site. But in Page/Post, your header image will be replaced by Featured Image. This option will show Header Image in Page and Post only. But in Page/Post, your header image will be replaced by Featured Image. This option will disable Header Image completely. Post is created to highlight your Post in the Courses. So, first you need to create a Post and then add Featured Image to the Post. Page is created to highlight your Page in the Courses. So, first you need to create a Page and then add Featured Image to the Page. Category is created to highlight your posts from specific categories in the courses. So, first you need to create a Post, add Featured Image to the post and assign posts to specific category. When you select categories, make sure your posts in those categories have Featured Image. Click here to watch our Video Screencast to add Featured Image. Image is created to highlight independent images in the courses. This option gives you full control to upload your own independent image, with title (optional), content (optional), optional link and target. Just use the following simple steps to add in the Image in courses. Post is created to highlight your post as Our Professors Section. Page is created to highlight your page as Our Professors Section. Category is created to highlight your posts from specific categories in Our Professor section. So, first you need to create a Post, add Featured Image to the post and assign posts to specific category. Image is used to highlight the custom image, link as Our Professors Section. Note: WP-PageNavi Plugin is recommended for Numeric Option(But will work without it). Infinite Scroll Options requires JetPack Plugin with Infinite Scroll module Enabled. Then go to “Appearance => Customize => Theme Options => Menu Option”, select type as Custom Post Type under Menu 1, Menu 2 and so on add your menu sections. Some of our theme supports Food Menu options. In our premium theme Post, Page, Category and Custom as Food Menu. Post News Ticker is created to highlight your Post in ticker. So, first you need to create a Post and then add Featured Image to the Post. Page News Ticker is created to highlight your Page in ticker. So, first you need to create a Page and then add Featured Image to the Page. Category News Ticker is created to highlight your posts from specific categories in the ticker. So, first you need to create a Post, add Featured Image to the post and assign posts to specific category. Custom Text News Ticker is created to highlight custom texts and links as news ticker. Please go to this link to know about the requirements to run WordPress. We can’t provide extensive help in terms of modifications. If you are requesting modification help, which only requires us to publish 3 or 4 lines of code, we will be glad to assist you. However, if your query requires more than that amount of code to be published, we can only provide guidance and you would then need to hire a customizer. Customization questions are assigned lower priority than questions pertaining the installation, setup or usage of our products. You can view theme installation instructions on page. Hover your mouse over the “item” you need the ID for. Look at the status bar (at the bottom of your browser) and then you will find at the end of the line something like “post=123”. In these cases, 123 is the Post ID. Install and activate Catch ID’s Plugin which will display the ID in your Post admin panel. It is always recommended to add featured image in your Posts and Pages. Our themes are highly dependent on Featured Images. 1. Open the editor of the post/page where you want to display image, and locate the Featured Image module in the bottom right corner under Page Attributes. Click on Choose a Featured Image. 2. Then you can either upload the image from your computer or select the existing image from your media library and click on Set Featured Image. You assign it either from “Appearance => Customize => Menus => Manage Location” or from “Appearance => Menus => Manage Location”. 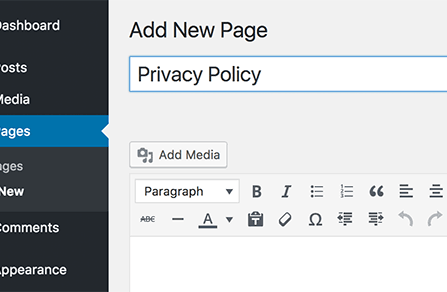 WordPress Widgets add content and features to your Sidebars. Examples are the default widgets that come with WordPress; for Categories, Tag cloud, Search, etc. Go to “Appearance => Widget”, then drag the widget to the widget area or you can click in the widget then list of widget area will appear, now you can choose desired widget area and click on “Add Widget”. Go to “Appearance => Customize => Widgets”, then you can find list of widget area. Click on the any widget area and you will see “Add a Widget” option by click on it you can find list of Widget which you can add to respected widget area. By default, WordPress uses the first option by showing your most recent posts on the front page. Many WordPress users want a static front page or splash page as the front page instead. This “static front page” look is common for users desiring static or welcoming information on the front page of the site. Before you can set a static front page for you site, you have to create and publish the page that you would like to use as the static front page. There are four Featured Content types to choose from in Pro themes: Post, Page, Category and Custom. Note: Further option to change Featured Content Title(Headline), Featured Content Archive Content(Subheadline) and Select Featured Content Layout(Layout). Font Family option is available in Pro themes only. Our Pro theme supports 4 Hero Content types they are: 1. Post, 2. Page, 3. Category and 4. Custom. This option is available in premium themes only. Our Pro themes are WPML-compatible, that means all the text in this theme can be translated to the language of your choice. To begin, be sure you have the WPML Plugin installed and activated, along with WPML String Translation plugin. To set up WPML for the first time, follow their Getting Started Guide. To begin translating, select WPML (in the Dashboard menu) => String Translation. You should see a list of the strings in the theme, with blue translation links to the right. Click these links to reveal the list of languages you use on your blog and the associated translations. Go to this link for more details. WooCommerce is a powerful, extendable eCommerce plugin that helps you sell anything. How to change layout for WooCommerce pages? How to add different widgets to WooCommerce pages? To use this featured, install Essential Content Type Plugin. Select Portfolio items Under Portfolio 1, Portfolio 2 and so on. Note: To see changes in No of Portfolio please refresh the customizer page. Select Post Portfolio to highlight your posts as Portfolio. First you need to create post and add featured image to you post. Note: Post Portfolio is determined according to Number of Portfolio. Select Page Portfolio to highlight your page as Portfolio. Note: Page Portfolio is determined according to Number of Portfolio. Category Portfolio is created to highlight your posts from specific categories in portfolio. So, first you need to create a Post, add Featured Image to the post and assign posts to specific category. Image Portfolio is used to highlight the custom image, link and other content as Portfolio. Note: Image Portfolio is determined according to Number of Portfolio. How to enable promotion headline and choose the type? Under Enable on : you can select Homepage / Frontpage, entire site or completely disable it. Under Select Content Type: You can select form Post, Page, Category, or Custom post type (requires essential content types plugin). Under Service Archive Title: Provide the name for the service. Under Service Archive Content : Additional details about the service. Our Premium themes support Page, Post, Category, Custom and Custom Post Types as Testimonials. Note: To see changes in No of Testimonial please save and refresh the page. Some of our themes have News option. There are four News types to choose from in Pro themes: Post, Page, Category and Custom. Note: Further option to move news above the footer. Note: Further option to move stats above the footer, change headline and subheadline. Finally, click on “Save & Publish”Note: Further option to move stats above the footer, change headline and subheadline. Some of our theme supports Event and Pro supports 4 events types they are: 1. Post, 2. Page, 3. Category and 4. Custom. For Events, go to “Appearance => Customize => Theme Options => Events”. Post is created to highlight your Post in events. So, first you need to create a Post and then add Featured Custom to the Post. Page is created to highlight your Page in Events. So, first you need to create a Page and then add Featured Image to the Page. Category content is created to highlight your posts from specific categories in the Events. So, first you need to create a Post, add Featured Image to the post and assign posts to specific category. Custom Content is created to highlight independent images in the Events. This option gives you full control to upload your own independent image, with title (optional), content (optional), optional link and target. Just use the following simple steps to add in the Featured Image Content. Some of our theme supports Professional options. In our premium theme Post, Page, Category and Custom as Professional. How to enable professionals and choose the type? Some of our theme supports reservation. In Premium themes there are 3reservation types to choose from Page, Post and Custom. How to enable Reservation and choose the type? Note: For best effect, make sure all the images are of same size on logo slider. Select Post to highlight your posts as Logo Slider. First you need to create post and add featured image to you post. Note: Post is determined according to Number of Logo Slider. Select Page to highlight you page content as Logo Slider. First you need to create page and featured image to you page. Note: Page is determined according to Number of Logo Slider. Category is created to highlight your posts from specific categories in slider. So, first you need to create a Post, add Featured Image to the post and assign posts to specific category. Image is used to highlight the custom image, link as Logo Slider. Note: Image is determined according to Number of Logo Slider. Read more information about FTP Clients in the WordPress Codex. A screenshot is an image that captures what appears on your computer screen.Screenshots can come in handy when trying to explain something to Support, or if you want to blog about something you’ve seen on your computer screen. If you are running Windows Vista or Windows 7 you also have the option of using the built in Snipping Tool. For more information on using the Snipping Tool please see this support doc. Once you press one of the key combinations your screenshot will be saved to the Desktop. Alternatively, go to Applications => Utilities => Grab, and choose the desired screenshot type from the Capture menu. Save the image as a JPG, GIF, or PNG file. Use the keyboard shortcuts below to take a screenshot. Once you’ve finished taking a screenshot, you can then retrieve the image file in the Files app. To access the Files app, click the apps list button in the launcher, then click the Files icon. If you have just changed your theme then you need to regenerate image thumbnail for post published before activating this theme. You can simply install Regenerate Thumbnails Plugin. Then Regenerate Thumbnails through “Tools => Regen. Thumbnails” in your WordPress Dashboard. Also, add your own contact information and business name before hitting the publish button. We have moved Webmaster Tools to our plugin Catch Web Tools for better management and data access. So, just install Catch Web Tools plugin and activate “Webmaster Tools” from Catch Web Tools plugin dashboard. You can verify your site on Google, Yahoo and Bing by adding in the IDs in the respective boxes through “Catch Web Tools => Webmaster Tools” in your WordPress Dashboard. Further, you can add in the Google Analytic. Adding scripts in Header and Footer does not require you to edit codes through Webmaster Tools. How to Insert Site Verification IDs? How to Insert Analytics / Other Scripts in Header/Footer? Here you can add in various scripts like, Google, Facebook etc. After your payment has been completed, you will see a payment completion message on thank you page and you will be automatically redirected to your account page, where you can see and download your purchased goods. But if you failed to create the account through this process then we have Direct Payment System ( https://catchthemes.com/direct-payment/ ) where you can just buy it directly. You can download plugin directly to your blog by using the Add New Themes option in the Plugins sub-menu. Type in the name of the WordPress Plugin or descriptive keyword, author, or tag in Search Plugins box or click a tag link below the screen. You can update Themes directly from the Administration Panel using Catch Updater plugin or Catch Web Tools plugin .Catch Updater is a module inside our plugin Catch Web Tools. Click here to read details about Catch Updater plugin.